Are you looking for a quaint and romantic holiday home? This chalet offers all the ingredients for a fairytale like stay. 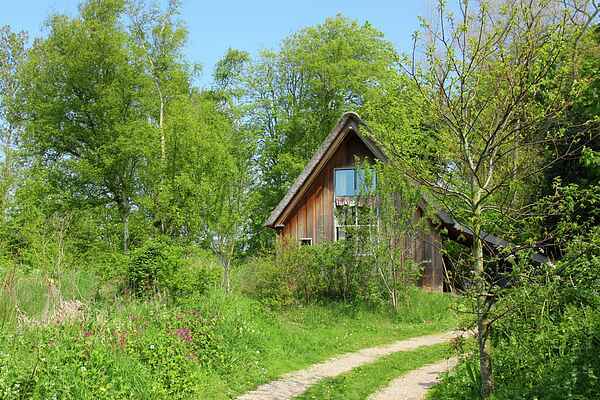 Situated between woods and village, surrounded by meadows. The chalet is comfortably furnished using natural materials. Living room, seating ares and open kitchen are all made of recycled wood or slate. The cozy fire place is one of the reasons while the home is so inviting, you'll enjoy hanging out here. Through the folding doors you reach the terrace with view over the polder landscape stretching far out into the dunes. From the chalet you enter the woods directly where your hiking paths are indicated for your convenience. By car you reach Bergen aan Zee in 10 minutes, the perfect place to unwind on the beach. Ten minutes the other way you get to the center of Bergen, this is where you can do some shopping or grab a refreshing drink on one of the many terraces. Alkmaar is also reachable within 10 kilometers and has a historical center that is well worth a visit.